When hot summer days drive you away from crowded cities, the best way to get some fresh air and cool down is to take a trip either to the sea or to the mountain. However, you also have another option if you travel to Romania, which is visiting one of the most unique places in Europe and in the world: the Danube Delta. The only delta in the world declared biosphere reserve; this little corner of heaven in Tulcea County is one of the largest tourist attractions in the eastern part of Romania. With an area of over 580,000 hectares, the Biosphere Reserve occupies over 2.5% of Romania’s surface. The Danube Delta is renowned for having managed to maintain a higher biodiversity, with many species that are rare or missing in other parts of the continent. The value of the Danube Delta Biosphere has been confirmed with the inclusion of this reserve in the List of Cultural and Natural World Heritage in 1990. In the Danube Delta Biosphere Reserve specimens of wild boar, bats, deer, polecat, badger, mink, otter, jackal and wild cat can be found. 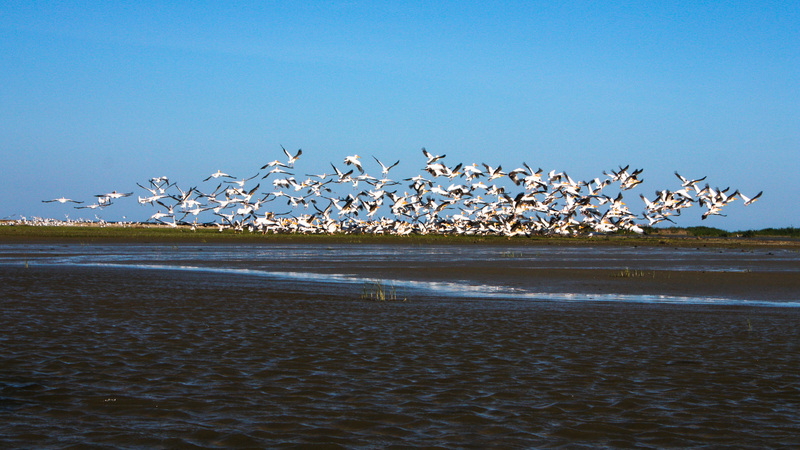 Besides mammals, there are numerous bird species in the Delta, such as seagulls, white storks, pelicans and many more. If you are planning a short holiday in the Danube Delta, a stop in Sulina is something you should consider, especially as there is a beach. Sulina is the only city of the Delta with the function of being a Black Sea harbor, being a settlement dating back to 950 BC. At the same time, you can easily reach Letea Forest from this town. The beach is probably the main attraction of the town and is located 2 km from Sulina. It can be reached by car, or for those who prefer to get some exercise done, on foot in 20-30 minutes. The Observatory Lighthouse was commissioned in 1841 but is currently not usable. It is located on the left bank of the Danube and it is connected to the mainland by a stone pier. This inscription still retains the names of those who participated in its construction. The Greek Church of St. Nicholas is located on one of the streets near the Sulina Channel and dates back to 1866. Also, the water tower is in a good working condition to this day, but the exact date of construction is not known. 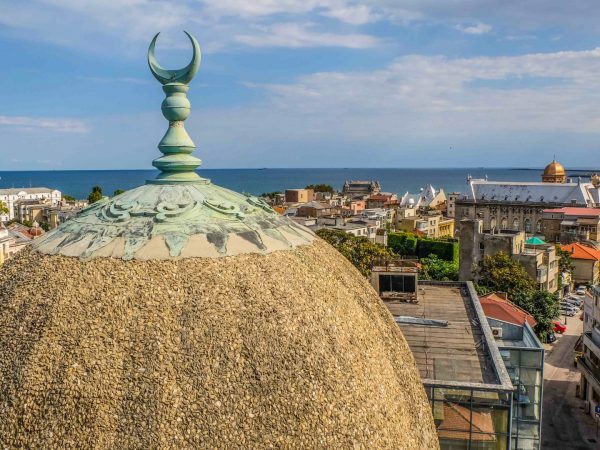 Interestingly, the locals say that during the Second World War, the Germans wanted to blow the tower but failed and only did some damage to the upper part. The Danube Delta is one of the most beautiful ecotourism areas in Romania. 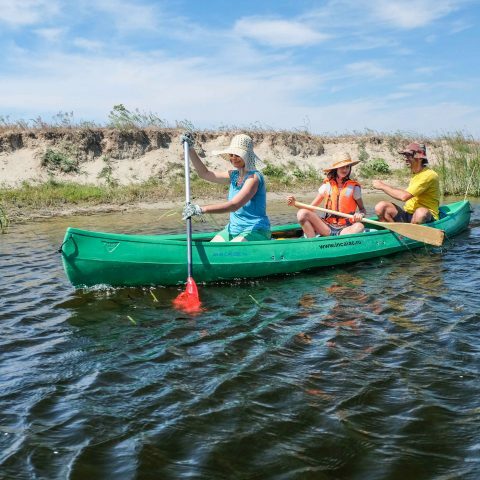 As soon as you reach the Danube Delta, you will be enchanted by the water channels bordered by vegetation and the willows, as well as the wonderful forests Letea or Caraorman. But surely the most beautiful activity you can do here is bird watching. The area is populated by millions of birds (some of them of very rare species) who spend their time in the delta during the migration period, including the common pelican, the red-necked gull, or curly pelican. You will be fascinated by the architecture of Lipoven houses, with traditional elements, as well as the delicious local dishes prepared in traditional brick ovens in clay pots or kettles. You can also visit the bird sanctuary from Caraorman or see the beautiful lakes that can be found in the delta, such as Capcicova or Isac. 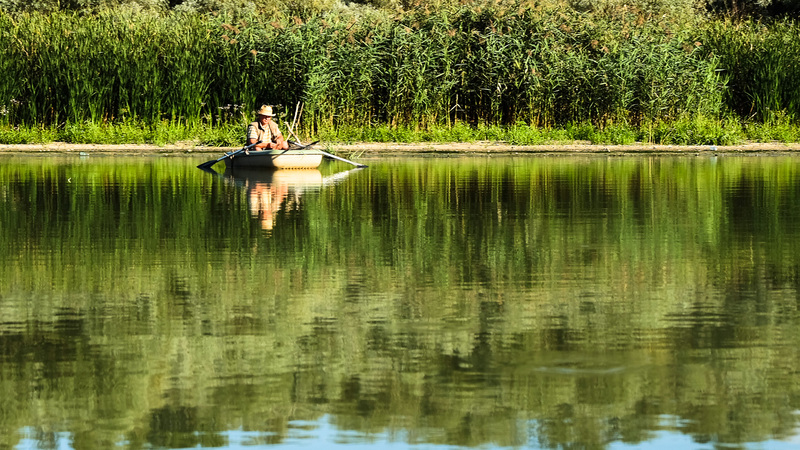 Many fishermen love to fish in the delta, but that does not mean that everyone can throw their fishing rods randomly. 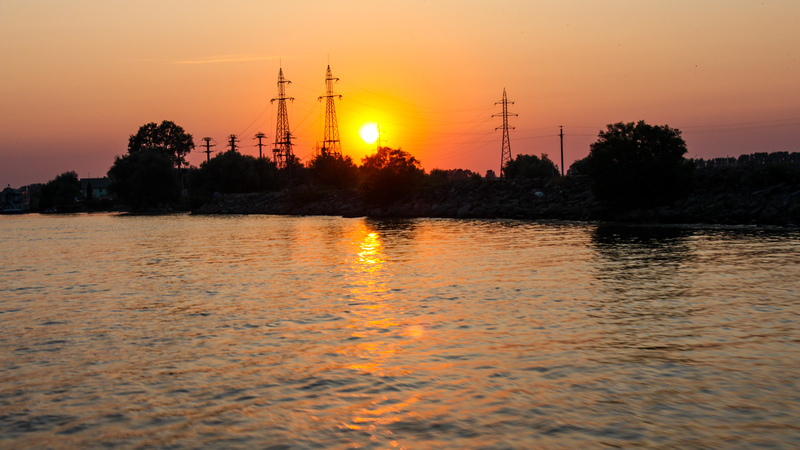 Fishing areas well defined by the Danube Delta Biosphere Reserve Administration that all fishermen (amateurs and professionals) must keep in mind. Of the over 30 areas, the best fishing places are on Lake Fortuna, Olguta Channel on the old Danube and in the Mile 23 area. Lake Fortuna is one of the largest lakes in the delta where you can fish from the boat or on the shore. If you’re lucky, you can catch carps and catfish. 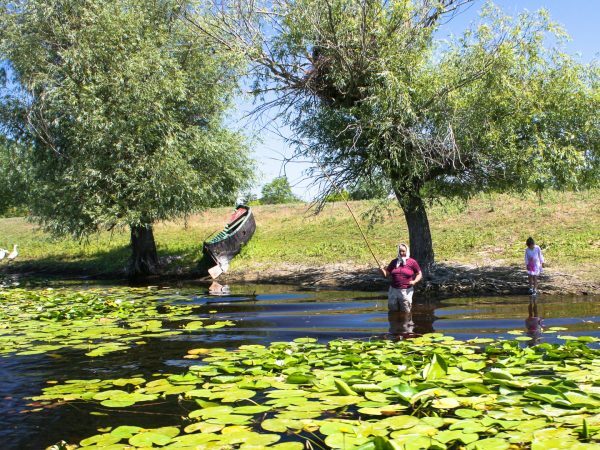 On the Olguta Channel, the favorite place for pike and bass fishermen, the dense vegetation allows them access only by boat. In the Mile 23 area you can fish quietly from the shore or from the boat. 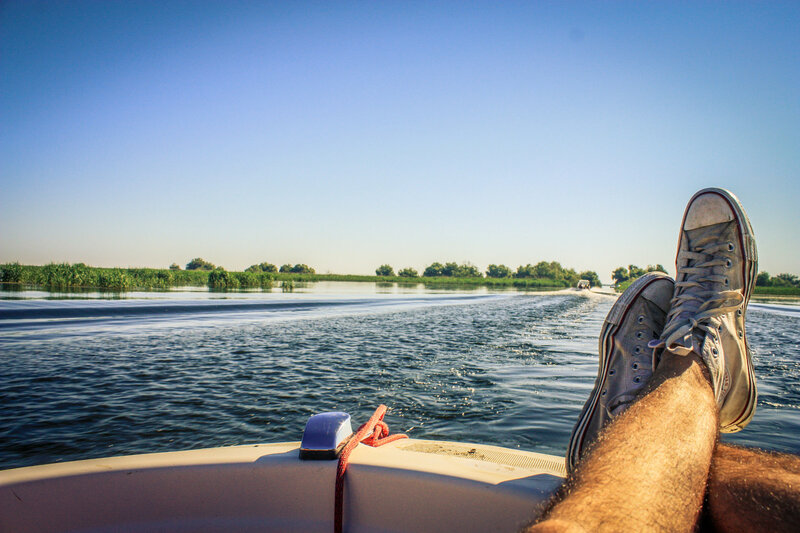 However, the authorities each year issue an interdiction order in the Danube Delta waters, usually during the spring season, but it’s good to keep that in mind. Mile 23 is located right in the middle of the Danube Delta, where all the nature’s beauties seem to have gathered together. 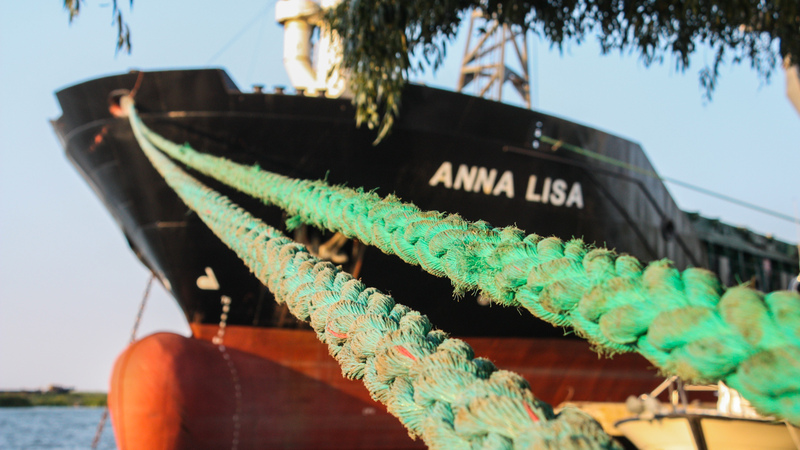 You have time to chat with the locals, to have a fish soup and to come back in time to Tulcea. Luckily, the Delta is different each time, so don’t be surprised if the return journey is completely different to you. Visiting the lakes between Crisan and Mile 23 is almost a must, being a representative area for the Danube Delta. The trip lasts about 4 hours, but here’s a tip: try to schedule it sometime in the evening so you don’t miss the sunset. It’s a splendid show of light and color, bird songs and water sounds. The route includes the lakes La Amiaza, Bodaproste, Trei Iezere, Miazazi and Miazanoapte, Cazanale and Eracle. 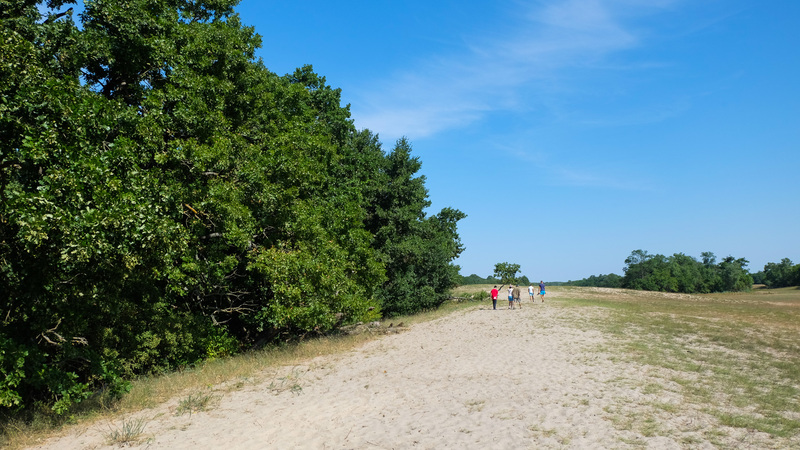 Letea Forest in the Danube Delta is a protected area, part of the UNESCO heritage, rightly so: the landscape that meets you surpasses any imagination. There are few places in this world that gather together lush vegetation, sand dunes, lianas, saline lakes and exotic plants. 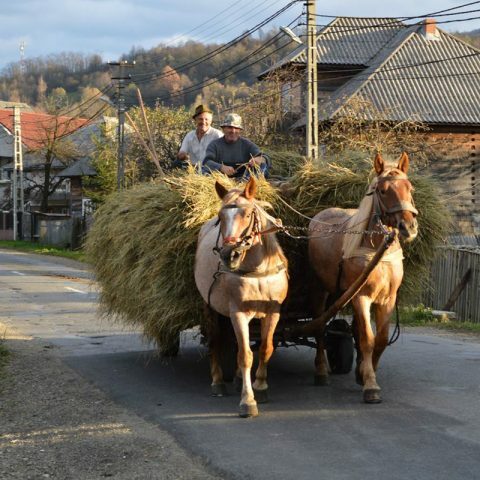 To be able to admire them all, you need a motor boat and a horse-drawn cart, from which you can taste the traditional village experience in which the time seems to have stopped. Forest and desert in the same place; you can all admire them on a four-hour trip. 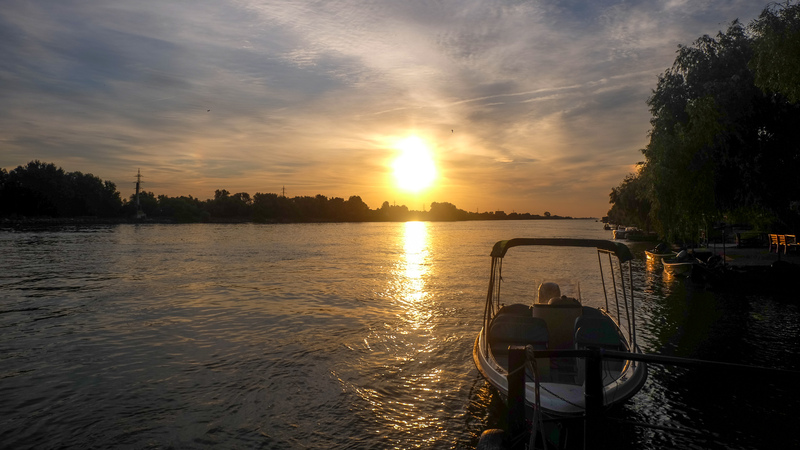 If you need other reasons to visit the Danube Delta for a holiday or other ideas for fun activities, don’t worry, there are plenty of other places to see and things to do. And if you’re already there, we suggest going on a Danube Delta and Black Sea tour. 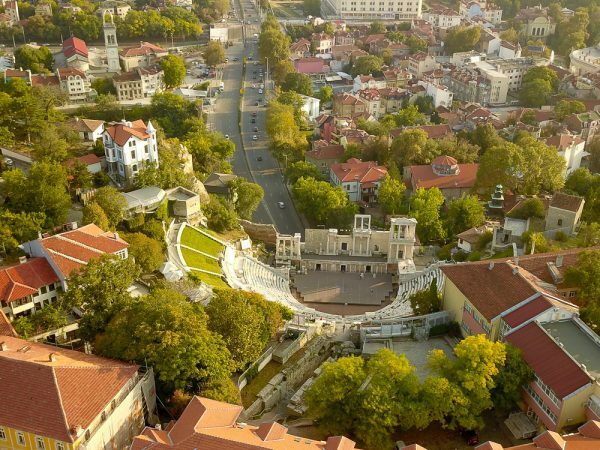 It takes only two days, but it’s perfect if you want to get to know this Romanian region.